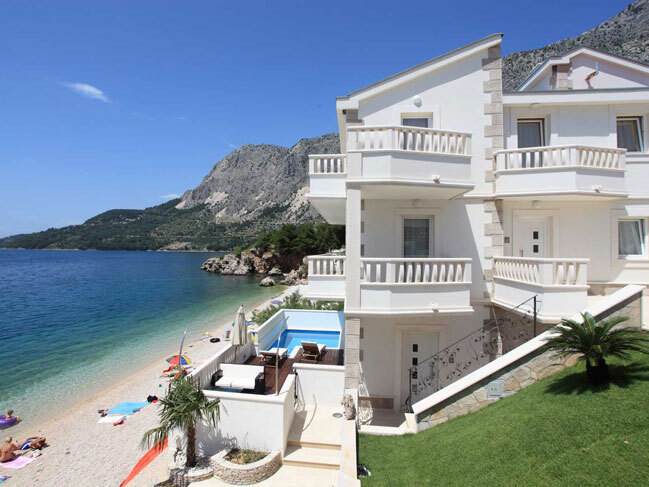 Seafront five star luxury villa on Makarska Riviera in Dalmatia in Croatia This luxurious holiday house with pool intended in the first place for total relaxing and enjoying of its users is situated on the beach in small village on Makarska riviera in Dalmatia Croatia. 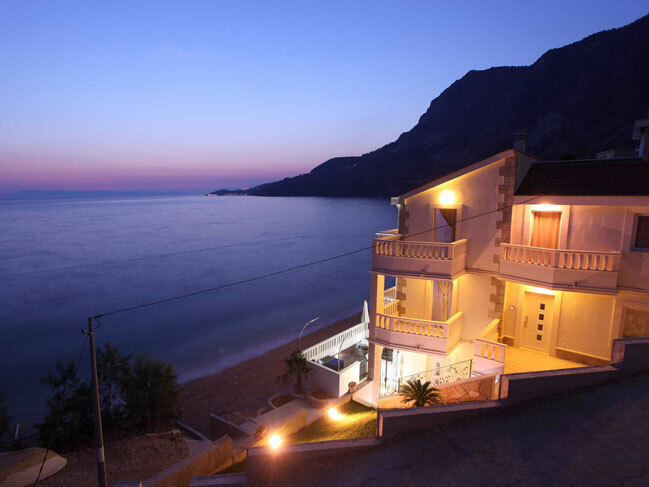 This beachfront villa is set on 3 levels and each level can be individually accessed. 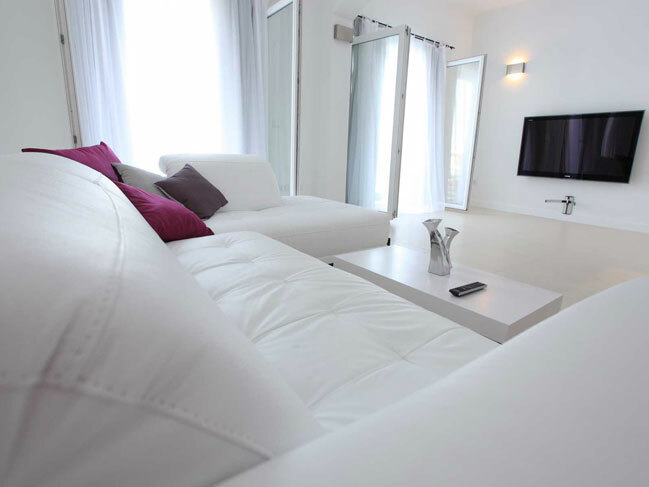 On the ground level you will find a large living area, big sofa, 55 "LCD TV. One double bedroom and 2 bathrooms are housed on this floor. Outside you will find a shaded terrace area perfect for dining al fresco, a wooden sundeck with modern furniture, sunbeds and a private pool. 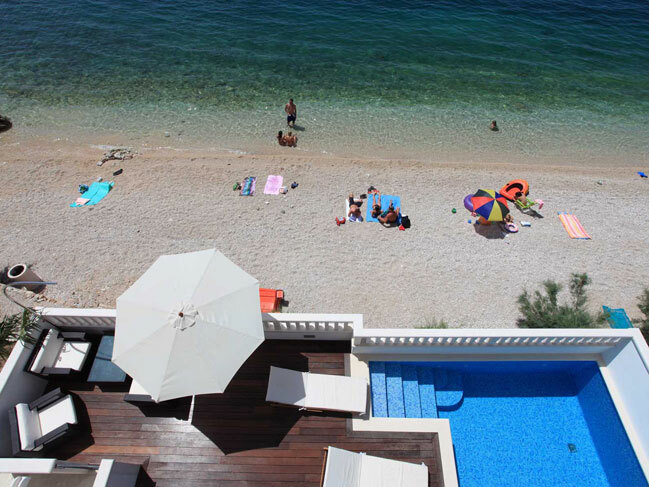 The whole terrace offers spectacular views to the sea, islands, and mountain and has that unique right on the beach feeling. Ground level altogether is just pure enjoyment. The first level houses 2 double bedrooms with separate shower rooms and seaview balconies, a fully equipped kitchen and dining area that comfortable seats 6 guests. A living room which features a fireplace and modern furnishing. 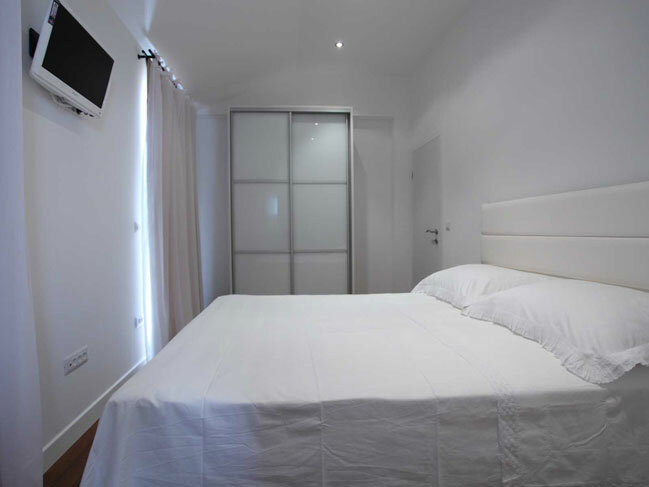 The top floor boasts a double bedroom with ensuite bathroom and a further double bedroom with separate shower room. 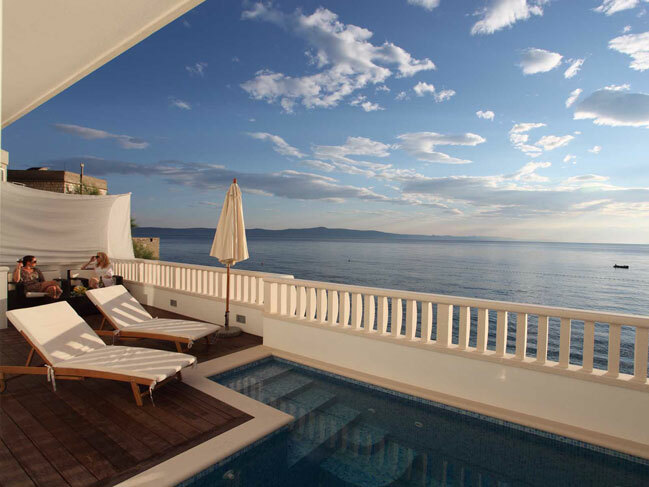 Each bedroom has a balcony with amazing seaviews. 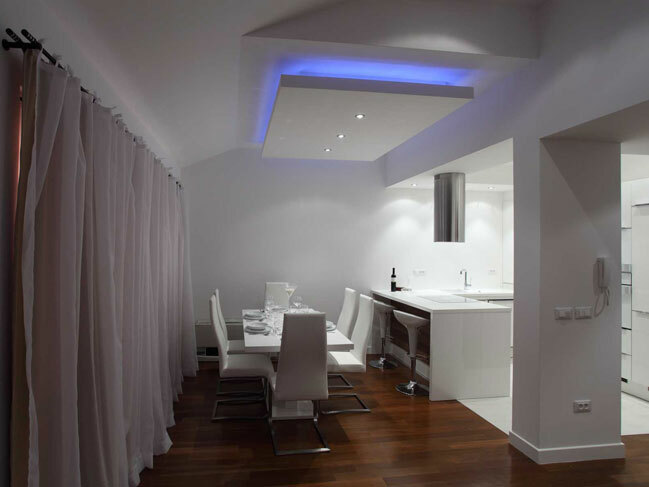 This level features the main fully equipped high class kitchen, dining area for 6 guests, a living area with designer furniture and a wood fireplace in the centre, making this and all other levels ideal not just in summer but also in the cooler months. At the top of the house a wooden sundeck with total privacy awaits you. 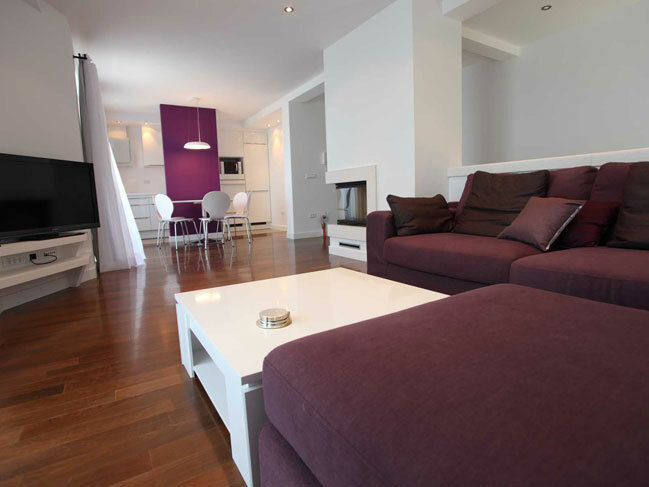 Additional features included air-conditioning, heating, wooden floors in the living rooms and bedrooms. 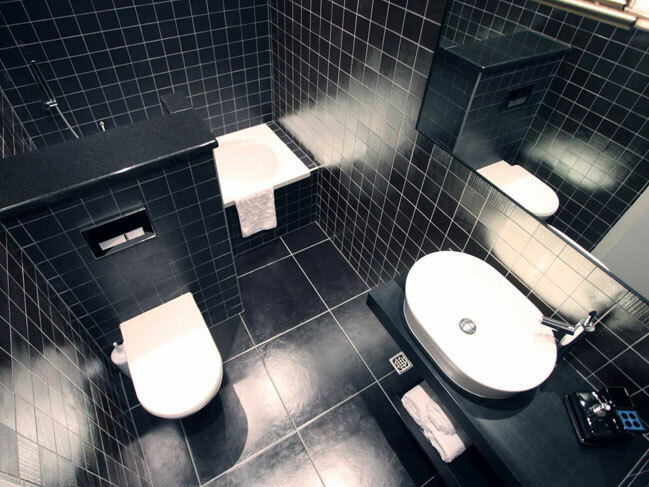 All the bathrooms and ground floor has floor heating. 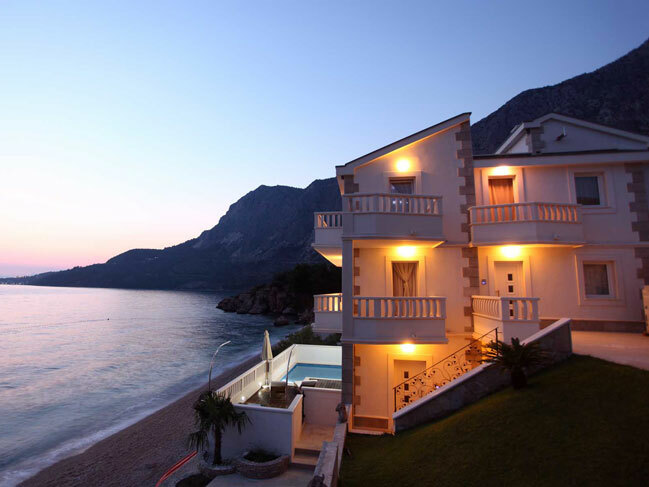 Once you stay at this villa with its beauty and luxury, you will always look forward to visiting this place again searching for the same great feeling and new memories.